Citizens were also required to keep arms and be trained with them and serve in defensive militias if able bodied, a relic of an earlier era. Despite this a large political movement among the Denizen class eventually managed to gain citizenship for all men, followed a couple decades latter by citizenship for all adults thanks to feminists. However, the requirements for citizenship were not dropped. Beforehand every citizen was able to afford his own weapon or kept his old service rifle. This switchover meant the citizen section of the population grew to five times it's former size and latter doubling. Most of whom could not afford weapons. To deal with this the Federal Militia Armaments Bureau (FMEB) was created. The army could not produce enough service rifles to meet the needs. At first they supplied surplus rolling block rifles, cap and ball revolvers and rifled muskets (some of which having been converted) and even a few flintlocks, but these were insufficient for the needs and were mostly obsolete. To arm the populace the Militia Carbine was born. The Militia Carbine is a simple trapdoor gun firing a 8mm cartridge designed for the (then new) bolt action repeating service rifle. The one word which describes this weapon is "cheap". It cost about 30% as the service rifle to make, but did so by cutting numerous corners. On top of it's far simpler mechanism, it's stock is made of two pieces of wood held together with screws, it's barrel is short, not as finely made or machined and initially it lacked a safety catch (though after 26 years of production this was amended). It's maximum effective range is about 300 meters and it has a rate of fire of up to twelve rounds a minute in the hands of a skilled user. Each of these guns came with a cheap old fashioned socket bayonet. Public schools had a month class on basic marksmanship and gun maintenance and each citizen had to spend two afternoons a year drilling until age 60. Most of these weapons were government property so guns could be re issued if their owner died, though a few were exported as low cost hunting rifles. 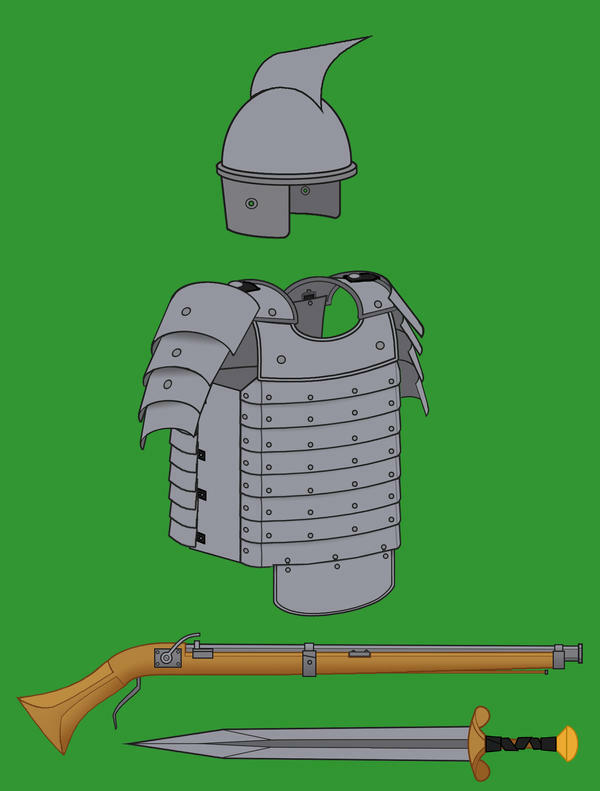 The general strategic idea for this weapon was that with the entirety of the adult population armed and trained in weapons use (even if the guns were inferior to service rifles), the standing army could be kept small. When the Federation was invaded forty years latter, these weapons were put to the test. The results of the militia carbine were mixed. While they did mean that partisan activity was higher than the invaders expected (which did tie down a decent number of their forces in anti partisan work), many civilians did surrender to the invading forces regardless due to the fact that they had not only military grade semi automatic rifles, but also SMGs, machine guns, mortars, grenades, AFVs, air power and artillery support. In areas where resistance was high, this was countered by brutal tactics being employed and a very high civilian death count. In one particularly disastrous instance a force of forty six thousand militia was almost completely wiped out by an enemy division along with a number of surrounding towns which were bombarded or bombed, killing an additional thirty five thousand civilians over the next week, inflicting only 328 casualties. Though the enemy was repulsed, production of the militia rifle ended shortly after the war began in favor of low cost SMGs. The Invasion cost the federation about 9 million people, devastated much of it's infrastructure and a fair number of military historians and generals have remarked that the resources spent on the Militia carbine project would have been better spent on new tanks, artillery and more planes. Even so, a fair number of militia carbines remain in circulation, mostly as hunting and sporting weapons. Blackpowder flash is quite violent, and you put the pan in a place it would flash right into your face and ear. If the hammer doesn't get stopped by your earlobe or cheek, that is. There is a reason why the pan was on the right side, and as far forward as you could put it, defining the design of rifles for centuries. Until the invention of a fully encased cartridge, bullpups would be highly dangerous for the user. 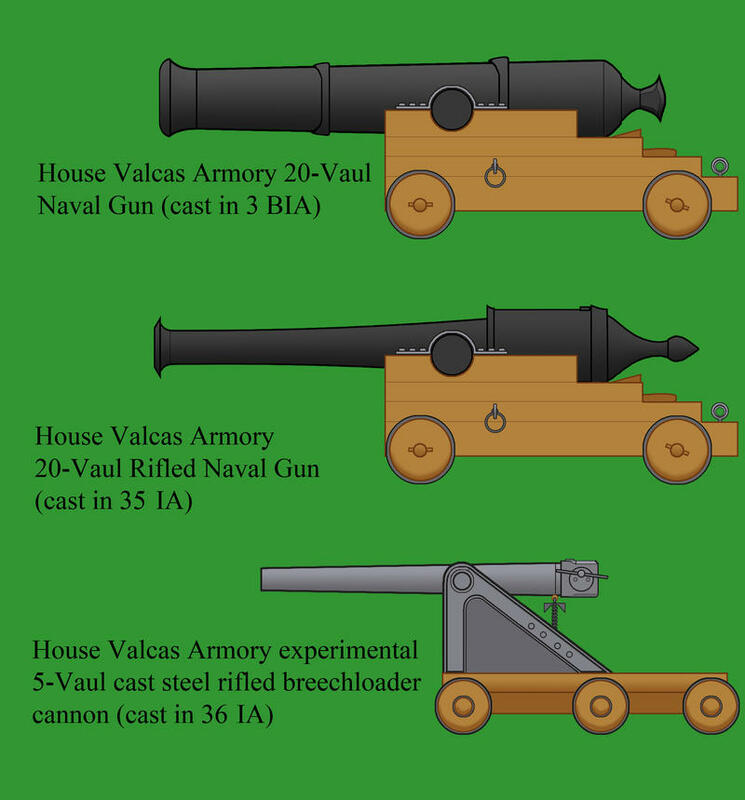 Three cannons made by House Valcas on contract for the Valnothron Navy in 36 IA. The first is a fairly typical pre-infrastructural smoothbore Twenty Vaul cannon, weighing in at about 2.65 tonnes. Such weapons are the primary armament of Ships of the Line, are fairly common aboard frigates and a few sloops and frigates for about a century, with a few refinements made as time went on. In addition to their sales to the various Drow houses a few of these cannons have been sold abroad. In the last decade many of these guns have been rifled, extending their maximum range to two to two and a half kilometers. The second is a new pattern muzzle loading 20 Vaul rifled cannon, the heavier counterpart to the previously described 10 Vaul Rifled Cannon. These guns have a range of up to four kilometers thanks to improved ballistics and the fact that they can take a greater charge of powder. Using steel tipped projectiles these weapons have demonstrated significantly improved penetration against slabs of wrought iron when compared to it's precessesors, especially at ranges of 500 meters or less. The gun carriage design remains unchanged from the older model. The third cannon is an experimental gun that as of the Battle of Daagsgrad has just finished it's first batch of tests. It is an cast steel rifled cannon based partially off Infrastructural designs, but it differs due to complications in replicating the interrupted screw breech block which is the norm in Infrastructural Artillery. In it's place, a sliding block mechanism is used, a semi-cylindrical block of metal on rails which can be slid aside to allow shot and ammunition in and then slid back and fasten in place. It weighs 422 kilograms and has a maximum range of 3.5 kilometers. In general this increased the rate of fire, even if it does rely on an external caplock mechanism to fire and unlike the Type-6FG (its closet counterpoint) projectile and shell are not cartridged. It was planned that a few of these guns would be provided to the Valnothron naval elements of the invasion forces. However development was delayed (which might have have been the result of sabotage by one of House Valcas's rivals) by a couple of months so that the first completed batch of eight units was completed the day after the Invasion fleet left Hansoliath. New crews are being trained rapidly. 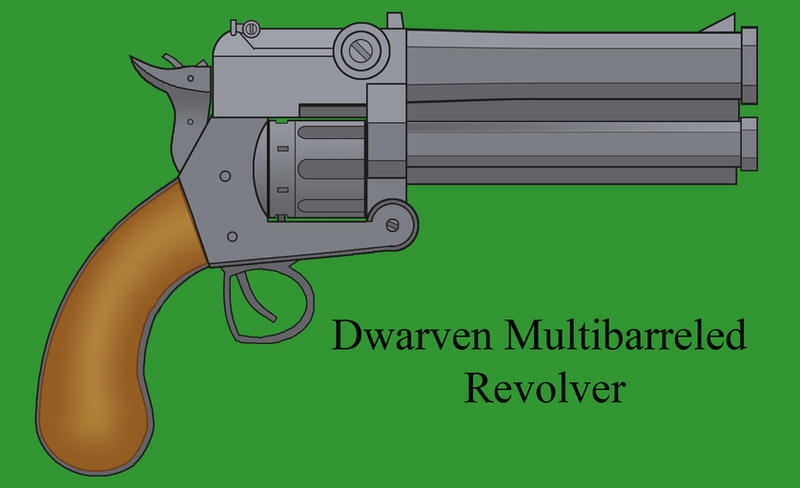 I don't get how that multi barrel revolver is supposed to work? It looks more like a shotgun on top of a revolver. With I assume a second internal hammer to fire the revolvor part. Multi barrels certainly will work, as the valiant Italians showed three barrels is totally practical if you drink enough before drawing it, but it nested the barrels within the circumference of the cylinder which was simply three arrays of chambers together. Sadly it was not also automatic. But what's shown hear appears to be a hybrid weapon. One shot grenade launcher could also really use a sight, or something to indicate angle if you are intending it as some kind of indirect fire rifle grenade like device, minus the rifle? A sort of pike grenade launcher? Sea Skimmer wrote: I don't get how that multi barrel revolver is supposed to work? It looks more like a shotgun on top of a revolver. With I assume a second internal hammer to fire the revolvor part. There's a toggle on the hammer which allows it to switch between setting off the top mounted shotgun or the revolver component. This is a sparklock musket. Said weapon was developed by a civilization which had a different history of industrial development to ours. Basically in this world four hundred years earlier a continent the size of North America was unified under the rule of a single empire as it's centralized government (aided by semaphore usage) could put together a proper standing army using pike formations and (after some time refining handgonne designs) arquebusiers and use it against the various feudal kingdoms with their feudal armies. The process took more than a century to achieve, but dominance was asserted never the less. To ensure that the stability of the empire and to deal with the risk of rebellions laws were put into place laws about weapons which included an out and out ban on the private ownership of firearms. All firearms were the property of the government (specifically the army). This policy ultimately worked, for four centuries this Empire knew peace and stability. Some efforts were made to explore the world beyond this continent but only found iron age primitives on a few distant continents which posed no long term threat. Trade thrived, the economy improved and the Empire entered a scientific and eventually industrial revolution. The army was retained but atrophied as time went on. It's role became ceremonial and to suppress the occasional riot or bandit gang that got too big for police to handle that came up once every few decades. Without any pressing external or internal threats the army stuck with it's gear and it's state controlled gunsmiths continued to make single shot matchlocks even as railways and telegraph lines connected increasingly large and industrialized cities. Then one day things changed. In one of the provinces a group of industrialists became resentful of a battery of new labor laws which forbade the employment of anyone under 12 and limited the work week to 45 hours managed to make a deal with a romantic garrison commander and started an insurrection against the "corrupted" Imperial government, thus sparking a civil war in the Empire's western provinces that lasted four years and spurred a technological arms race as the old tactics of pike blocks, arqebusier formations supported by lancers and cavalry archers proved to be way behind the time. Among their developments was the sparklock. 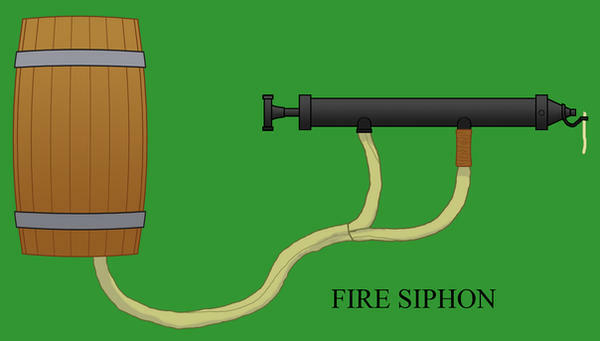 Replacing the older matchlocks the sparklock uses a battery powered electrode to generate a spark to ignite it's powder and fire. This system is far more reliable than matchlocks, could work in rain and is more accurate as their is minimal delay between the pulling of the trigger and firing, though it is more expensive due to the batteries. This designed was developed by the rebels as they established their own firearms industry, but was soon replicated by the Imperial government. the insulation is made of waxed cloth reinforced paper. The design would be refined as time went on and the war progressed. Ghetto Edit (unlimited editing should be here).